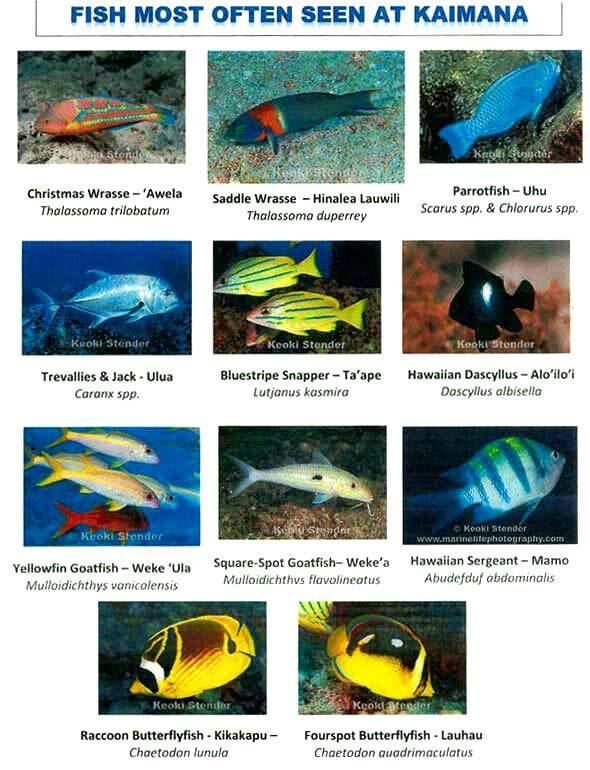 The fish shown below are (or were) common in the Waikiki area. These are among the fish that you may encounter while swimming from Kaimana Beach. 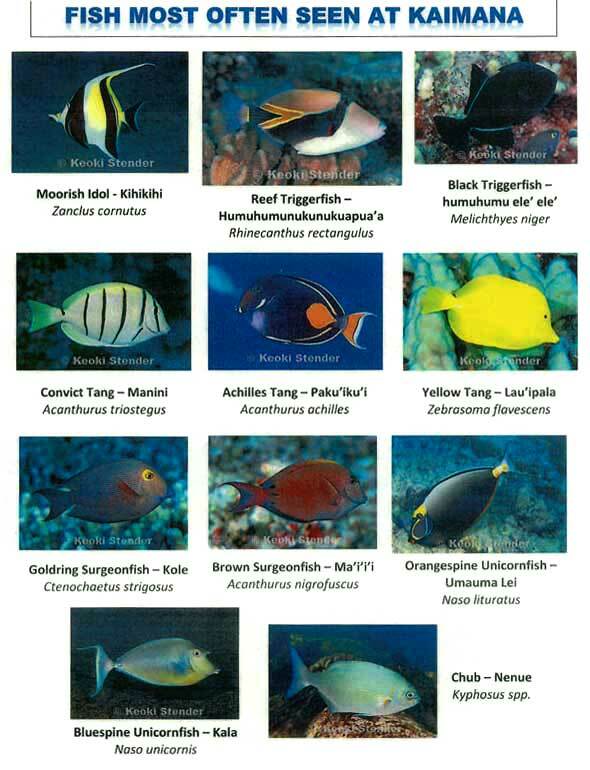 Take a few minutes to learn the English, Latin and Hawaiian names of these fish.